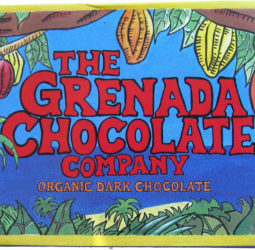 This site was originally developed by the co-founder of The Grenada Chocolates Company, Mott Green. He was immensely and justifiably proud of having hand coded every page with his self-taught skills in HTML, and refused to accept any help or advice to make it look a bit slicker, as he considered this would undermine the non-corporate image he strived to preserve in every aspect of the GCC. We have reluctantly decided to move the original content into this WordPress format in order to facilitate the growing demands of the company and its users, to enable a responsive design that allows access to all users, and to facilitate contribution from all members of the company who could not aspire to Mott’s fearless approach to hand-coding. We’d also like to think he’d be thrilled to see the tiny changes we’ve introduced that we think brings his words and images to life and helps to educate our loyal customers about the special legacy Mott gave us. If you have any comments about this or any other aspect of this site, please feel free to contact us. Thank you for taking the interest to read this.